Dr. Andrea Schuessler studied Chemistry at the Philipps University in Marburg, Germany, and graduated in 1987. She continued as a graduate student at the university and obtained her doctorate in 1990 with a thesis on the isolation and characteristics of two isogenes (cDNA) of the subunit VIa of rat cytochrome c oxidase. Between 1990 and 1993 she was employed as a technical assistant in a Munich patent law firm including placements at the German Patent and Trade Mark Office, the German Federal Patent Court and the Munich District Civil Court (Patent Division). She qualified as a German Patent Attorney in 1994 and as a European Patent Attorney in 1995. 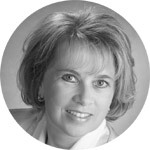 She has worked for Huber & Schüssler since 1996. Her current practice involves work in the field of intellectual property law, including all representation of clients at the German Patent & Trade Mark Office, the European Patent Office, the German Federal Patent Court, and in nullity actions at the Federal Supreme Court. She is experienced in infringement litigation concerning patents, utility models and in competition law. Her technical speciality is in the fields of biochemistry and biotechnology, e.g. immunology, plant biology, molecular genetics, cancer research, human gene research and virology.